Join Caterina Live! If you really want to accelerate your business success, join Caterina at one of her inspiring and transformational live events or programs. 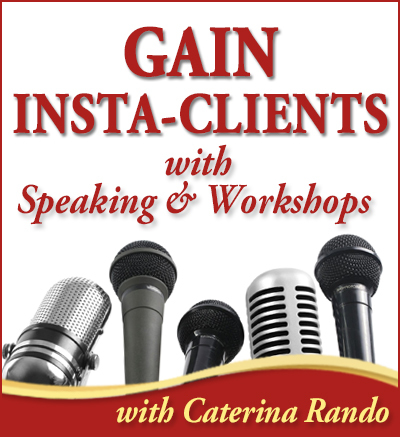 She shows women entrepreneurs how to step into their mastery, build influence, attract clients with speaking and events and build their businesses with ease. For additional information feel free to call (415) 668-4535 or send an email to cat@caterinarando.com, we look forward to hearing from you. This workshop is designed to give you tips on using your book to promote and build your business. 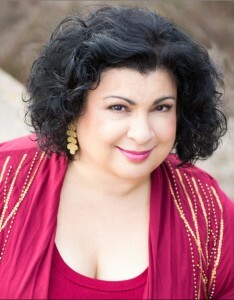 The goal in Caterina’s “Get Your Book Done NOW” Challenge is to have your draft done by April 18th. If your book draft is ready, you are invited to attend Caterina’s workshop on “How to Use Your Book to Build Your Business” free of charge. Since space is limited, those who wish to attend but do NOT have a draft ready, may attend for a fee. You can also Zoom in if you are not near San Francisco. 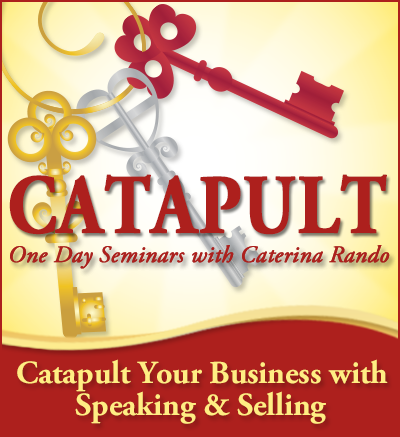 Join Caterina for a one-day seminar designed to give you exactly what you need to catapult your business with speaking and selling. The info-packed workshop will give you clarity, energy, and a clear course of action to accelerate your success and allow you to serve even more people. 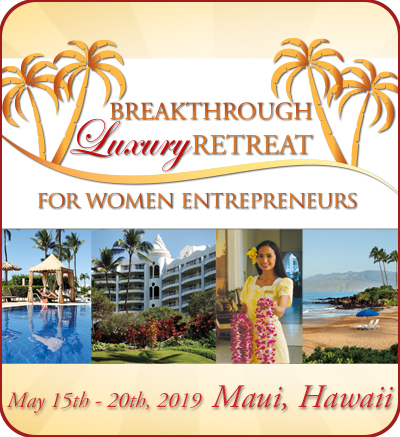 May 15th-20th, 2019 –Catapult your business from the inside out! 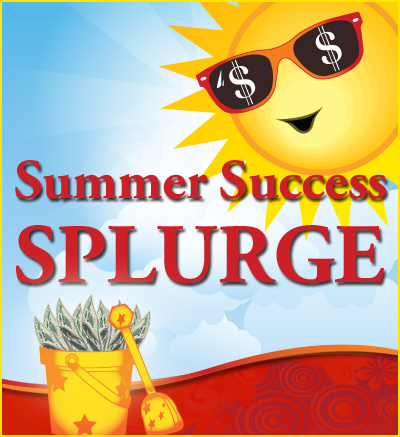 It is time to MONETIZE YOUR PASSION. 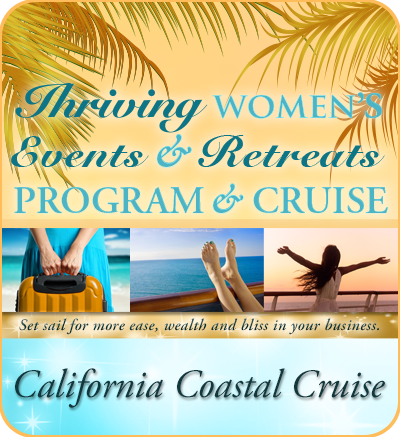 Add your own women’s workshops or retreats to your revenue streams. Attend this potent, one-day program and learn how to plan, produce and profit from your own women’s workshops or events. 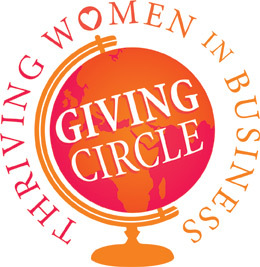 This is Caterina’s mid-year client appreciation event for The Thriving Women in Business Community. This is an invitation-only event. 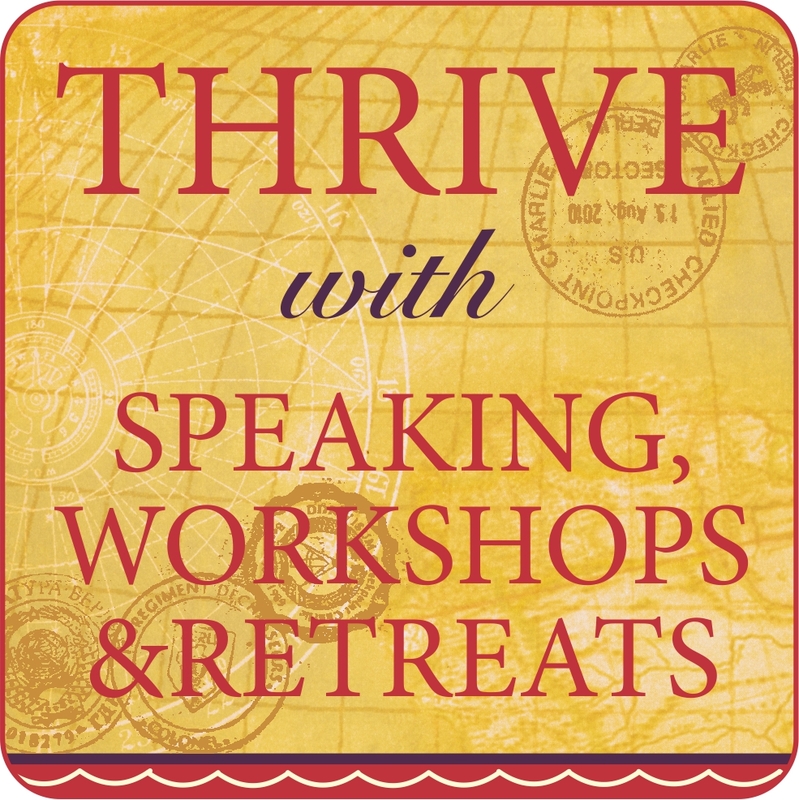 October 27th-November 3rd, 2019 –Set sail for more ease, wealth, and bliss in your business! 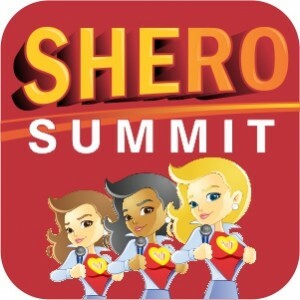 Shero Speaker Summit: She Speaks, She Sells, She Soars! Join Caterina at the Super Shero Summit, Begin to Use Your Super Powers of Speaking, and Experience the Entrepreneurial Success You Truly Desire. 9 a.m.-5 p.m., Friday & Saturday, with an optional super bonus session from 5:30-7 p.m. on Friday. Early Bird $97. Price $197.